New clients often ask what exactly do we do and is my claim collectable. The first part of the question I can answer; if I could answer the second part of the question I would have been able to retire years ago. However, there is much a creditor can do to vastly improve the prospects of collectability should an account become delinquent. First and foremost, know the legal identity of your buyer. Are you dealing with an individual, a partnership, a corporation, or some derivative of one of these three main types of entities. A well drafted credit application is the single most important document a creditor can obtain from a prospective buyer. If you do not know, or cannot determine, the legal identity of your buyer, the biggest gun in your debt recovery arsenal, the filing of suit, is eliminated. Don't allow an account to become overly delinquent before sending it to collection. The passage of time is directly related to diminishing prospects of recovery; accounts almost always become less collectible over time. Establish an in house delinquency period, say 90 to 120 days, and then send the account to a collection specialist without further delay. How much will litigation cost? On average, assuming one Defendant, a claim of $50K or less in Nebraska will cost about $200; over $50K, $300. A claim in Iowa of $5K or less about $200; over $5K $300. We can advance costs on your behalf and collect the same from debtor as a part of a judgment, however, if costs cannot be collected from the debtor, state law and Bar Association ethics rules require that they cannot be absorbed by the attorney but must be paid by the client. We also offer clients an opportunity to assign their claim to an assignee for litigation should they wish to avoid their business name appearing in public records as a Plaintiff. We assume suit is authorized on all claims unless express instructions to the contrary are received from you at the time of receipt. Next, we promptly acknowledge receipt of the claim and make written demand upon the debtor. Assuming mail is not returned, suit is filed thirty days after demand. Once service of process is obtained thirty more days must pass before a default judgment can be entered and thirty more days must pass before the judgment becomes final and enforcement can be undertaken. In a perfect world this "default judgment" process should be completed from written demand to enforceable judgment in about 120 days. 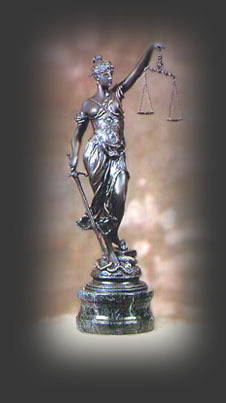 In reality, given the possibility of an evasive debtor, overburdened court dockets, delay tactics which may be employed should debtor retain counsel and the always present prospects that a trial may be necessary to obtain judgment, not to mention the chance of an appeal, the time from acknowledgement of a claim to final judgment is usually six to twelve months or more. Once a judgment has become final, enforcement process can be commenced. This usually takes the form of a wage or bank garnishment or, perhaps a levy on personal or real property. Also available is a proceeding whereby the debtor can be ordered into court for interrogation under oath as to the nature, existence and location of assets to levy upon. All in all the "active enforcement phase" can stretch on for several months to several years. By now you are probably thinking the collection process is so slow and uncertain that it may not be worthwhile to undertake. What we promise every client is that each of their claims will be prosecuted by this office as quickly and effectively as the law and external circumstances beyond our control will allow.